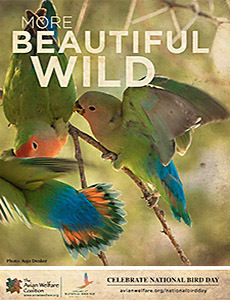 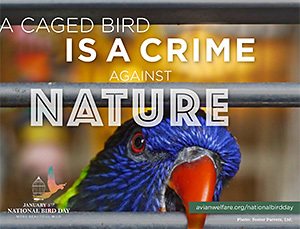 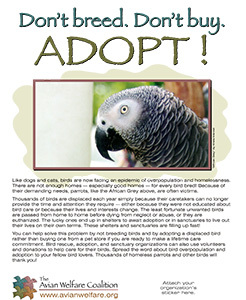 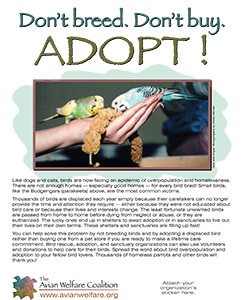 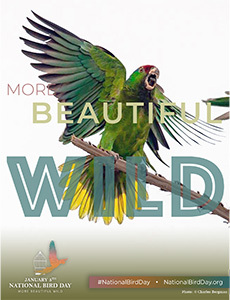 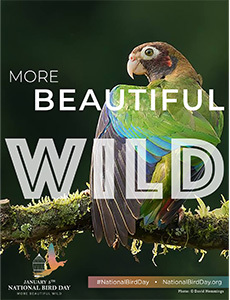 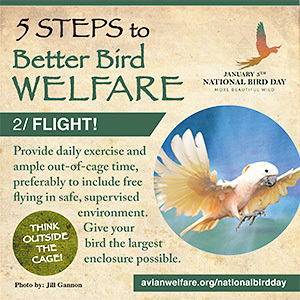 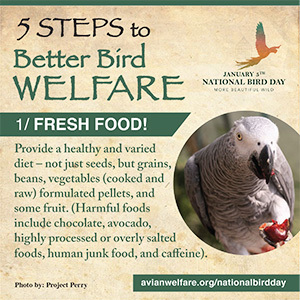 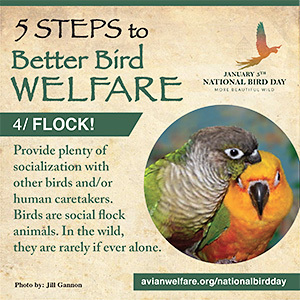 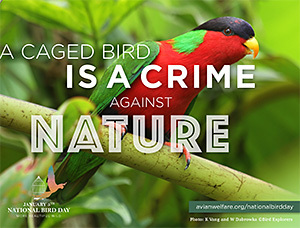 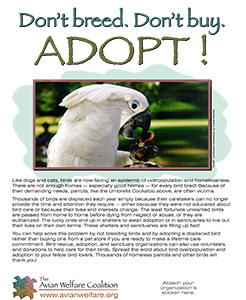 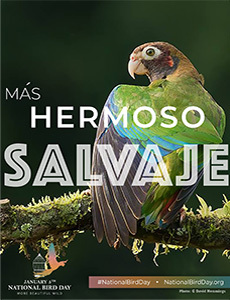 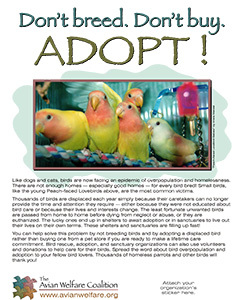 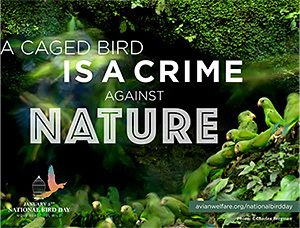 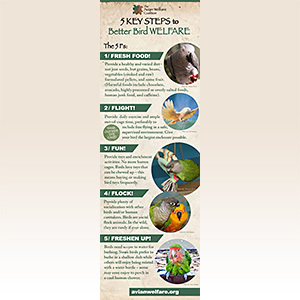 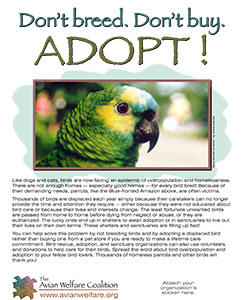 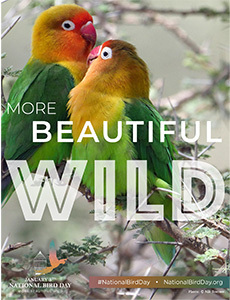 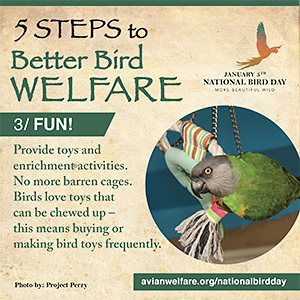 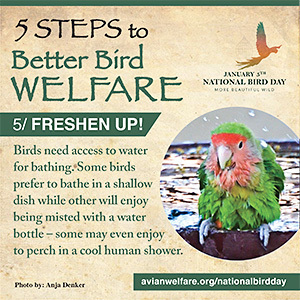 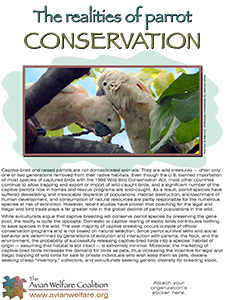 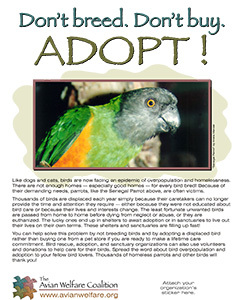 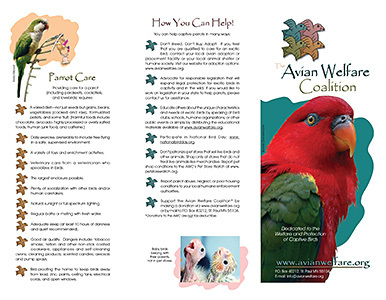 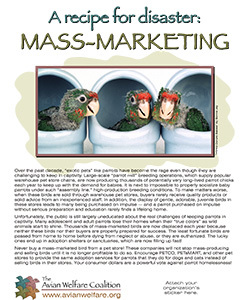 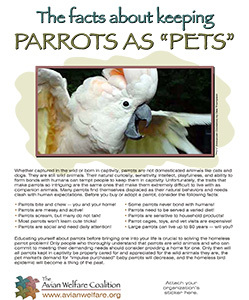 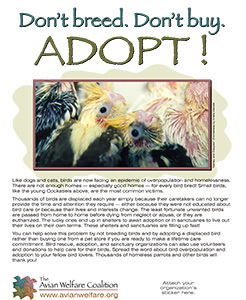 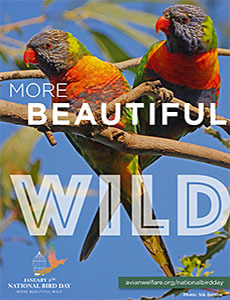 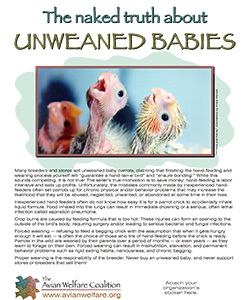 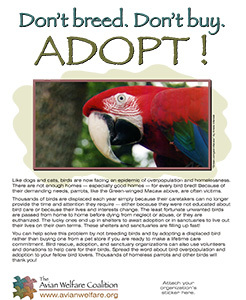 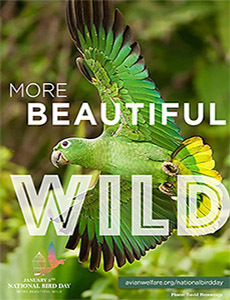 Share these flyers and fact sheets to help spread the word about avian welfare in your community. 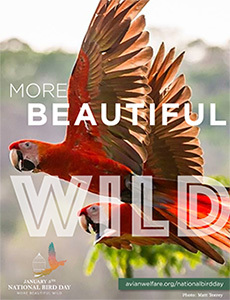 These documents are provided in Adobe Acrobat (.pdf) format. 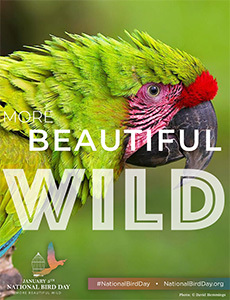 Click here to download the Adobe Acrobat Reader program first if it is not already installed on your computer.